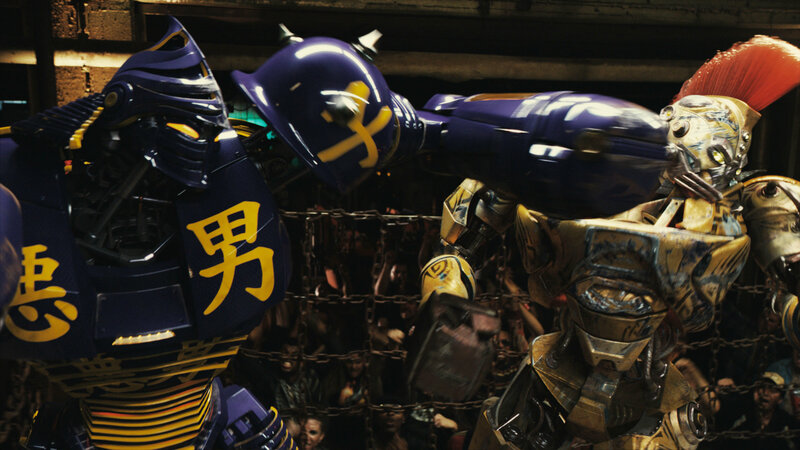 In Real Steel, Hugh Jackman plays a boxer who missed his chance at the title when robots replaced humans in the ring. Instead of wasting away his talents as a promoter, he decides to team up with his son to train a robot they pulled out of the junk heap into a boxing champion. We got our first look at some of the aforementioned robot fighters in the two trailers that dropped, and then Comic-Con attendees got up-close and personal with the brawler ‘bots last month in San Diego. 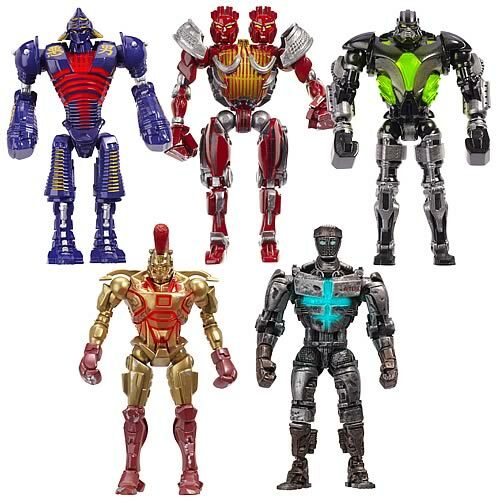 Now we have yet another look at the robots of Real Steel, courtesy of imagery from the upcoming toy line. 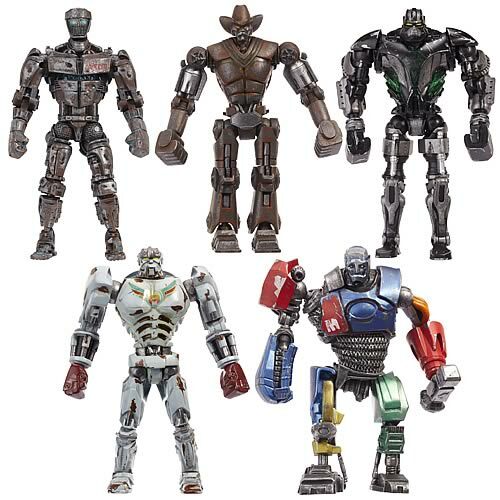 Posted at Entertainment Earth, the images from the Real Steel toy line feature seven of the film’s robot boxers in varying forms, including several versions of the robot Jackman’s character and his son (played by Dakota Goyo) train in the film, Atom. Also included in the line is the blue “Noisey Boy” robot seen in the trailer, as well as the two-headed “Twin Cities” robot, the massive “Zeus,” and toys for the gold-plated “Midas” and the Stetson-wearing “Six-Shooter,” among other ‘bots. The toy line will be released in waves, with the first set available this month and subsequent sets released throughout the rest of August and into September. Along with the basic line of figures, there will a Deluxe set and various boxing-ring style playsets. Real Steel hits theaters October 7. You can check out the two sets of basic figures below, and head over to Entertainment Earth for more images. What if Mega Man had a Portal Gun?